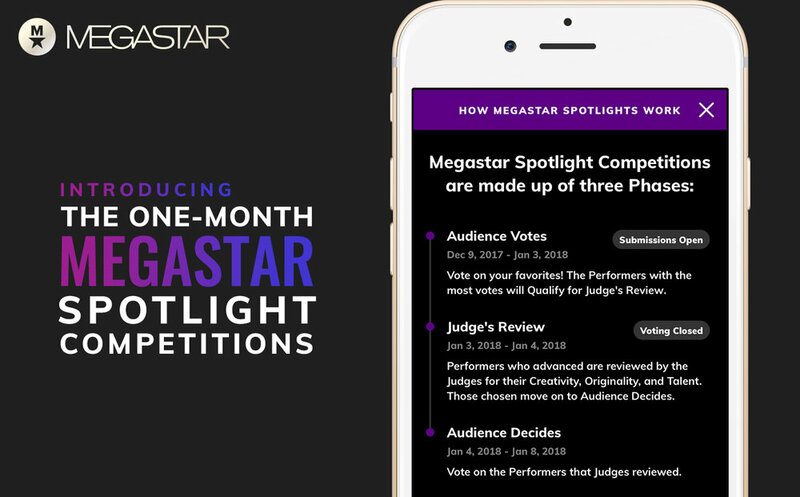 Megastar is launching a one-month global competition â€” The Megastar December Spotlight: 2017, to close out the year with a bang, and launch some new winner with a $25,000 top prize in early January. Hereâ€™s how it works. PERFORM LIVE. You can livestream throughout the competition, making your personality personally felt, your brand known, your talent experienced first-hand by lots of people ðŸ‘©â€�ðŸŽ¤ â€” fans you can talk to while youâ€™re livestreaming! HINT: In the first Worldwide Tournament, performers who livestreamed did on average four times better than performers who didnâ€™t. GET CROWDFUNDING. Fans can send you gifts ðŸŽ� â€” thatâ€™s right, real moolah you can use to fund your efforts. And you can give gifts back. Come on now, be generous! BUILD YOUR FANBASE. Fans who like what youâ€™re doing will follow you. Fellow performers can support and collaborate with each other. Followers are notified when youâ€™re livestreaming. You can communicate with them directly. ðŸ“� You could be adding 350,000 more fans to your base! THE TIMING IS NOW: â�° The Megastar December Spotlight kicks off this weekend! FANS DECIDE THE WINNERS. In the last five days, fans will decide who in the top 10 go home with the big prizes. But in a sense, everyoneâ€™s a winner. You get seen. You get heard. You grow your base. You hone your craft. You hone your video product. 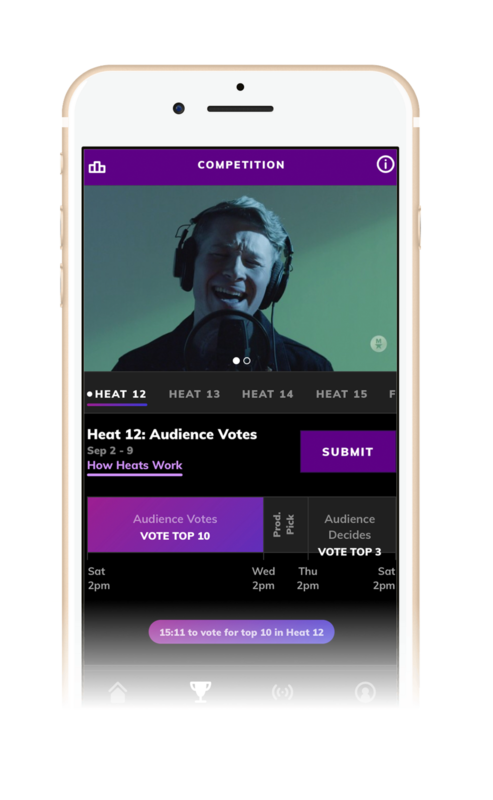 MEGASTAR is the worldâ€™s first mobile talent competition app, where contestants from around the world in multiple categories (Music, Dance, Sports, Extreme, Comedy, Magic, & Variety) compete with videos and live streaming for big prizes, fame and opportunity.